The Flexson Floor Stand for the SONOS PLAY:5 puts your speaker at the ideal listening height and holds it in a horizontal position – the ideal alignment for single speakers. Sold as Singles. The Flexson Floor Stand for the SONOS PLAY:5 puts your speaker at the ideal listening height and holds it in a horizontal position – the ideal alignment for single speakers . Your system will look - and sound - great. The Flexson Floor Stand is precision designed to perfectly match the size, style and colour of the second-generation SONOS PLAY:5 speaker. It is a sturdy, metal design - with a stable base that can slip under sofas or chairs if needed. You can also route the speaker’s power cable neatly through the Floor Stand. 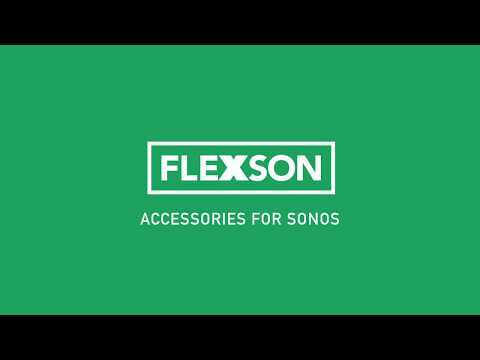 Like all Flexson accessories for SONOS, the Floor Stand is easy to assemble and use. It comes with your choice of spikes (for carpeted floors) or non-slip feet (for hard floors).